In the original shade of blue. 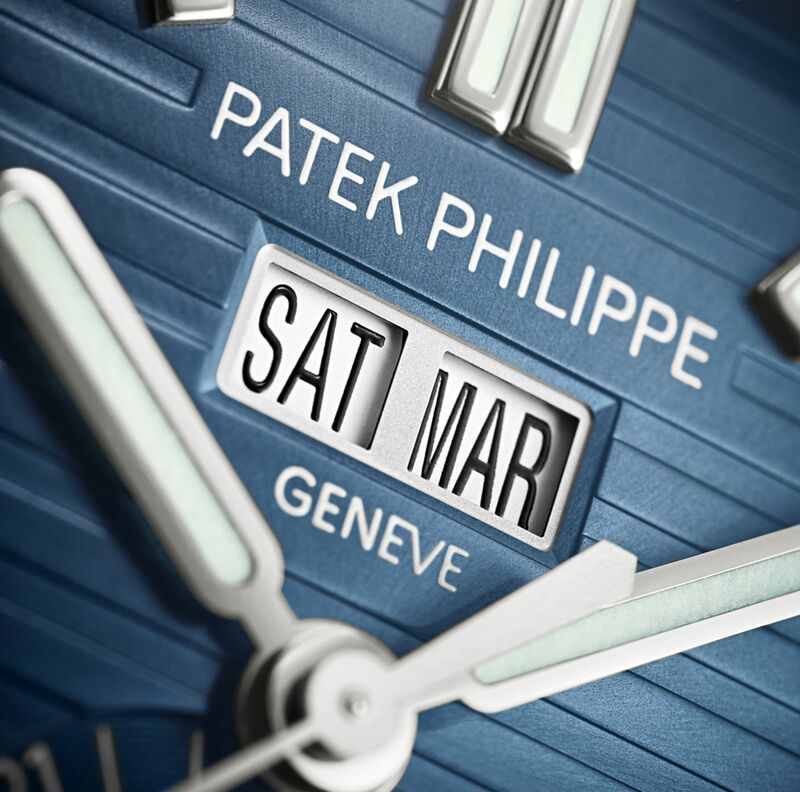 The Patek Philippe Nautilus Annual Calendar has been updated with a blue dial, replacing the dark grey or white dials that have both been discontinued. 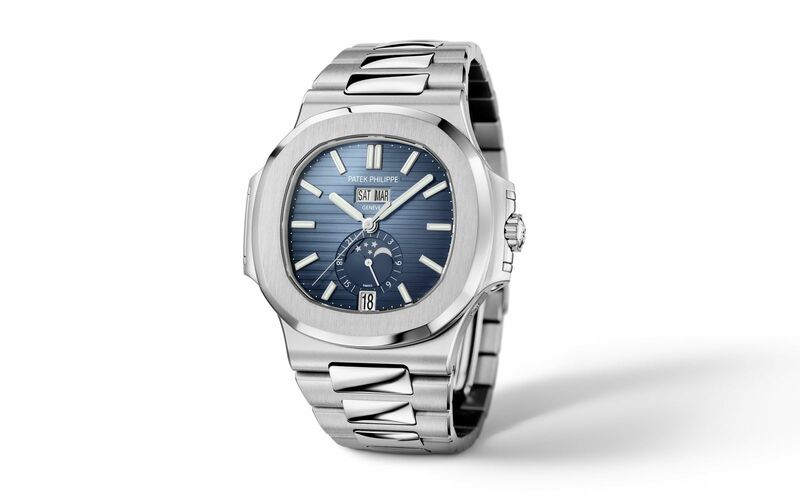 While the Nautilus annual calendar was long the least popular model in the wildly sought-after Nautilus line-up, the facelifted dial colour will no doubt do wonders for its popularity. 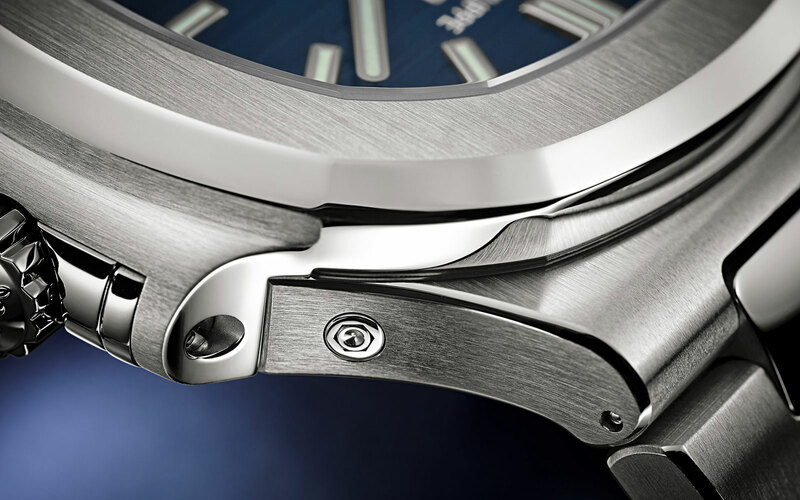 That’s because the new dial has a graduated blue finish with the colour darkening towards its edges, just like it was on the original Nautilus of 1976. 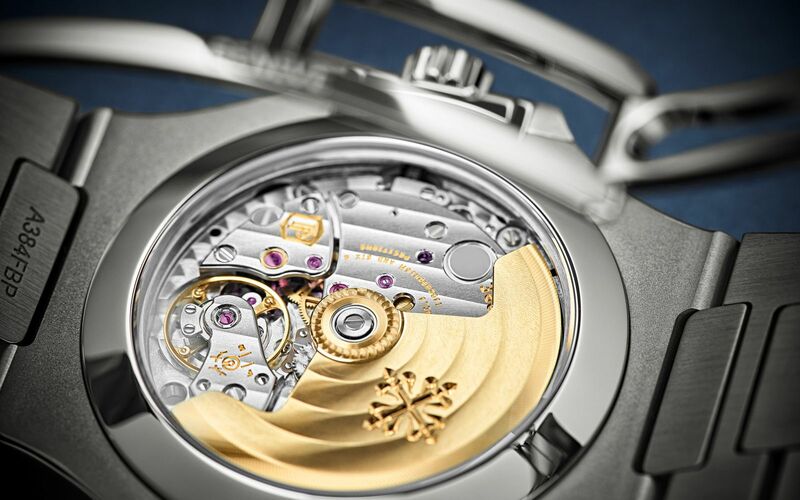 The applied hour markers are white gold, and filled with Super-Luminova. The change is only cosmetic, with the ref. 5726/1A-014 keeping the same dial layout, case and movement of its predecessors. 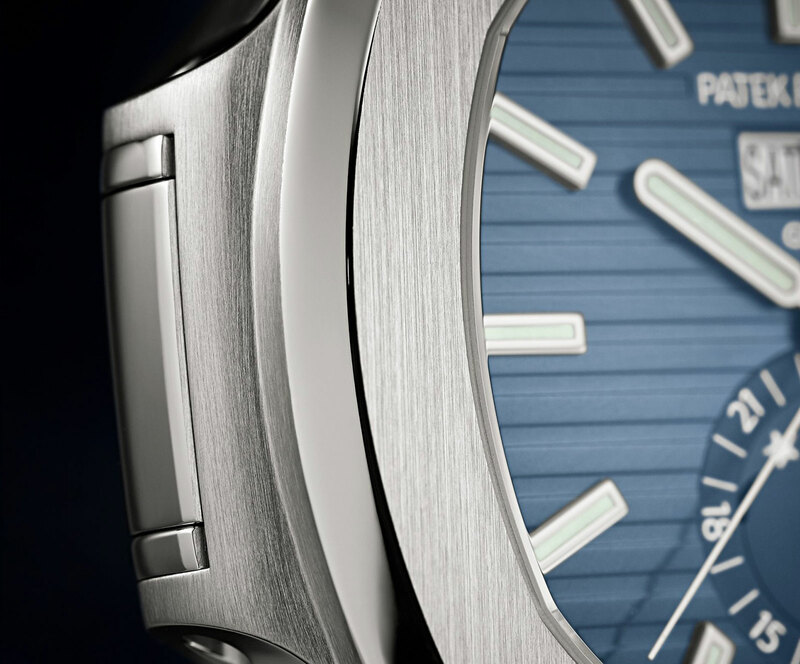 So the steel case is 40.5mm wide and 11.3mm high, and matched with the trademark Nautilus bracelet. Inside is the cal. 324 equipped with an annual calendar module, which means the calendar need only be adjusted once a year at the end of February. 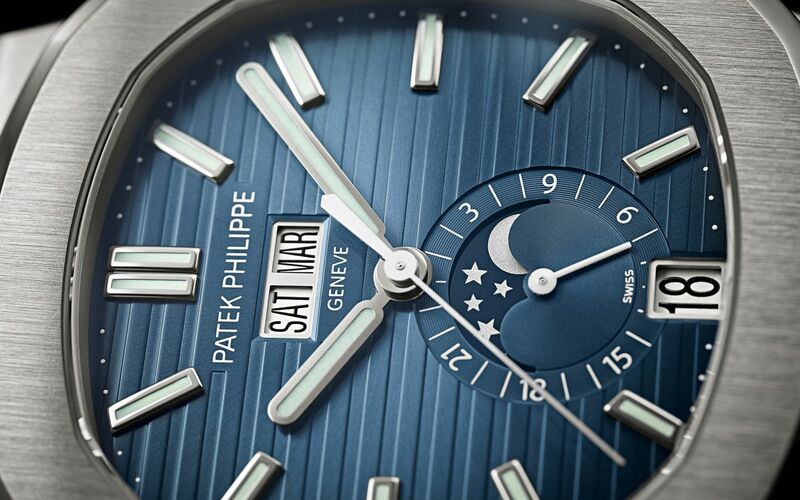 The Nautilus Annual Calendar (ref. 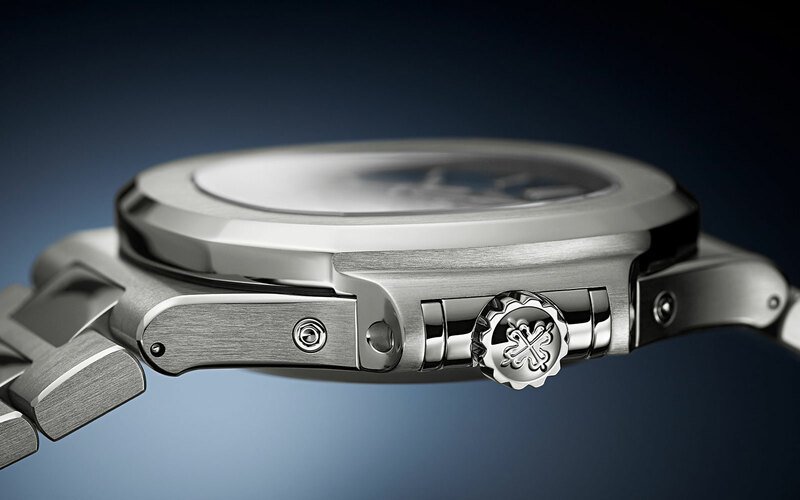 5726/1A-014) is priced at 40,500 Swiss francs, or about US$40,500.